Your Colorado lifestyle doesn't get better than this! 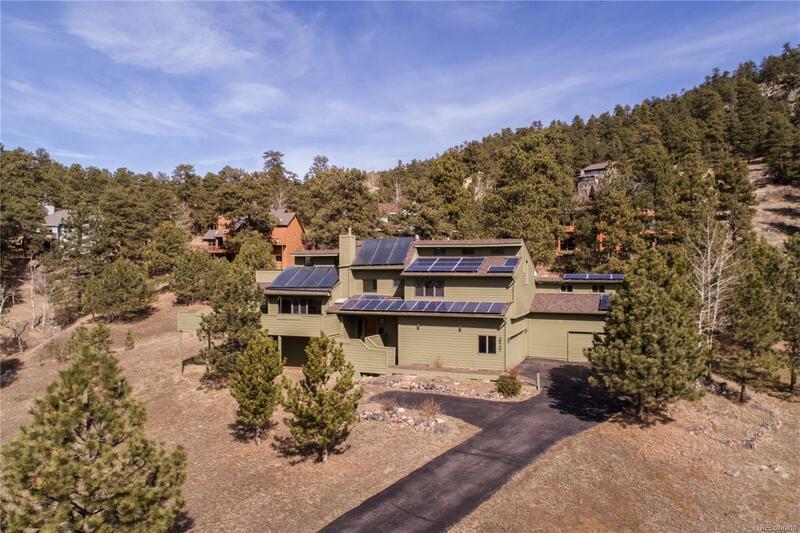 Fashionably staged, bright,cheerful home w/vaulted ceilings & plentiful windows is nestled in a picturesque Genesee setting w/beautiful trees &rock outcroppings. upgrades: hardwood flooring, gas fireplace & granite counters in the kitchen &master bath. Expansive wrap around deck, enjoy the views! DREAM 4 car garage. Owned solar PV & thermal systems. Idyllic community in the foothills w/clubhouses, tennis, pool, fitness & just minutes to Denver!